You can never have too many muslin cloths. 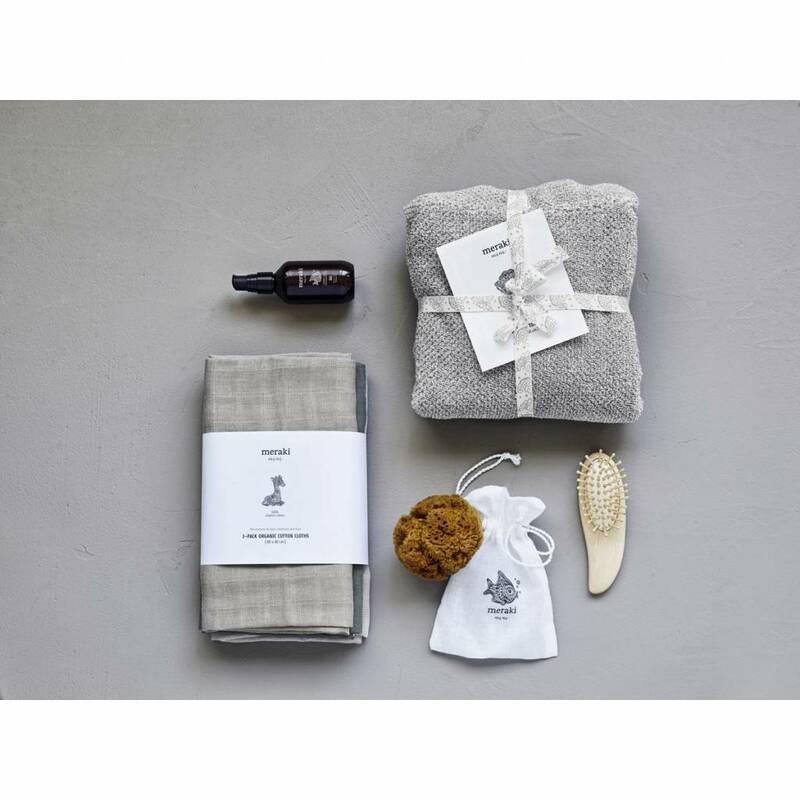 This great 3-pack is by Danish brand Meraki from their Mini line. 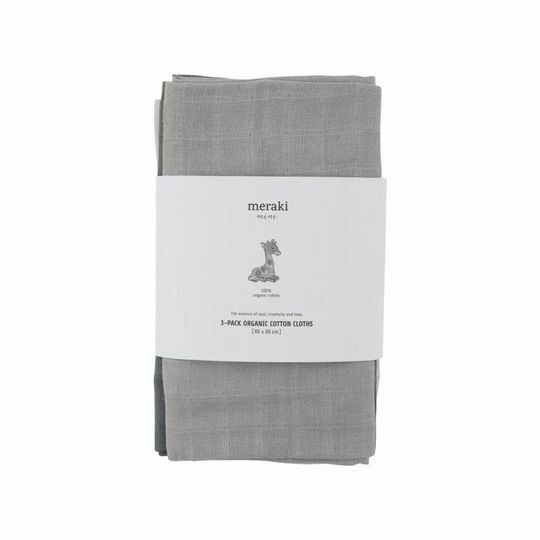 These 100% organic cotton cloths are a real babymusthave. Use them while feeding, pack them in your diaperbag and have them near the changing station. 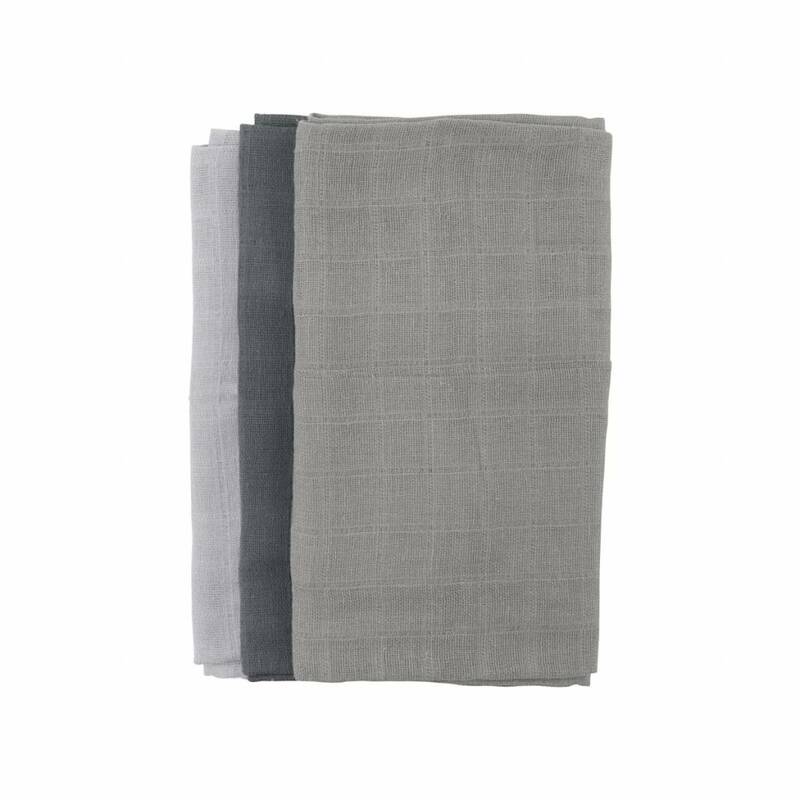 These minimalistic cloths are also just a nice accessory in your nursery and just about anywhere in the house actually. Treat your baby with these great muslin cloths by Meraki. 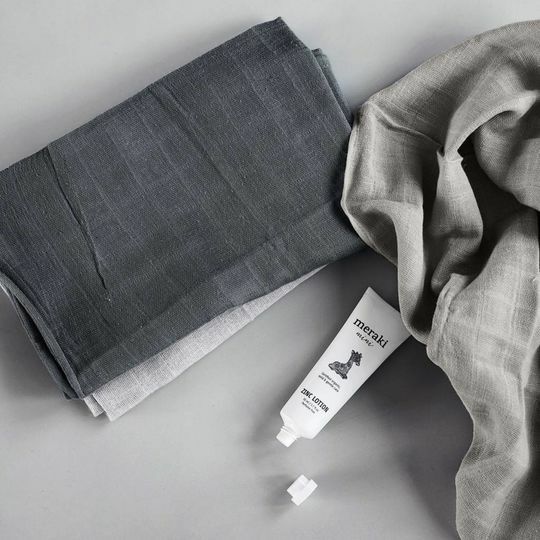 This 3 pack has a variety of 3 shades of neutrals/greys.